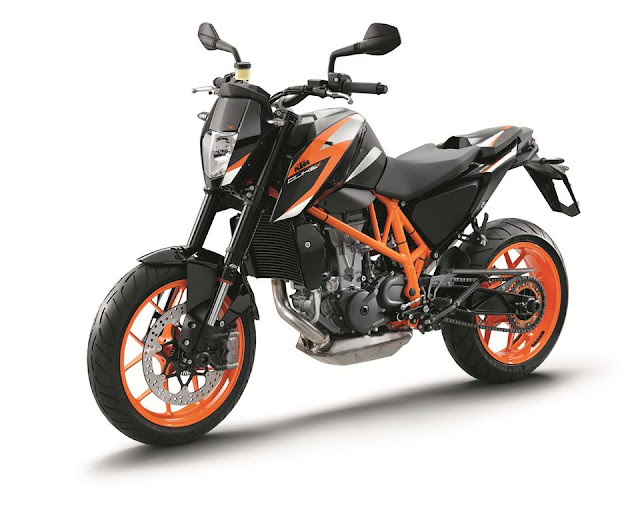 KTM at the Milan bike extravaganza (EICMA) has showcased the 2016 Duke 690 and Duke 690R. 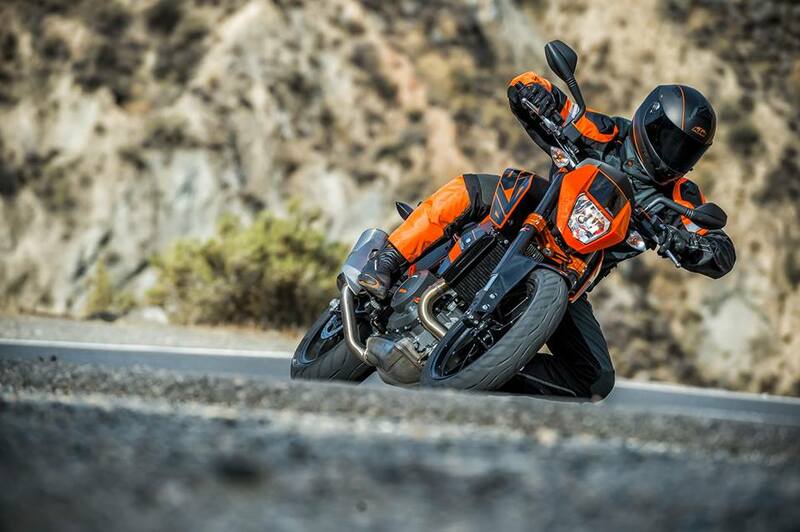 The new 690 gains several technical upgrades which probably makes it a more civilised package. With the new tuning settings, the bike gains more power and breathes easier. The 690 cc LC4 single cylinder engine produces 73 hp of maximum power and 74 Nm of peak torque. The engine sports a new cylinder head in which the exhaust valves are activated by roller rockers while the camshaft powers the intake valves. This helps in achieving greater accuracy in terms of ignition timings. 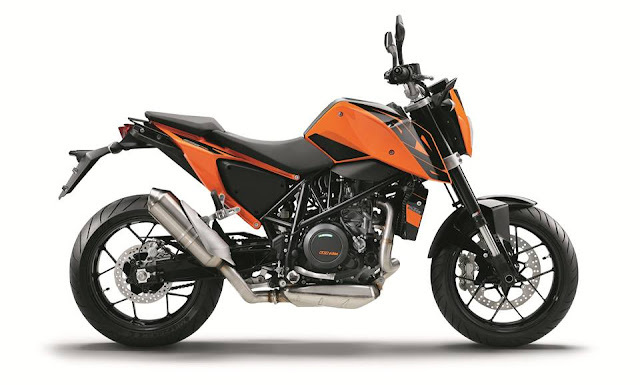 The new Duke 690 also gets a new, ultra-light and strong piston and connection rod. The engineers have also re-routed the air intake so that it passes through a resonator chamber along with a brand new crankshaft with new sleeve bearings. All this, KTM claims, helps in making the power band wider by a thousand rpm, which means a uniform power delivery, especially in the mid to high rev range. To negate vibrations the cam shaft also functions as a second balancer shaft. Add to this features like slipper clutch, ride by wire throttle with three modes (Sport, Street and Rain) and traction control and you have a lightweight beast ready to be unleashed both on the streets as well as race tracks. The Euro 4 compliant motorcycle also gets a new set of triple clamp with 4 mm less offset. A slightly more powerful 75 hp version called Duke 690R will also be available with fully adjustable front forks and rear shocks, Motorcycle Stability Control system, lean angle sensitive traction control and cornering ABS.nd there have been speculations of this mid-capacity beast coming to our shores. KTM India when?